Belleek Avondale pitcher features china flowering on the front along with an embossed motif on both sides. 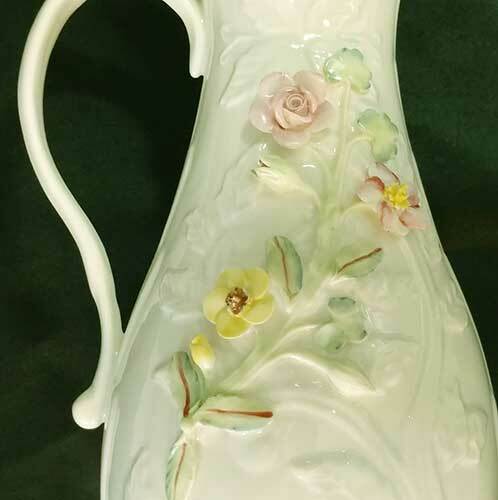 This Belleek pitcher is enhanced with both hand painted and embossed shamrocks. 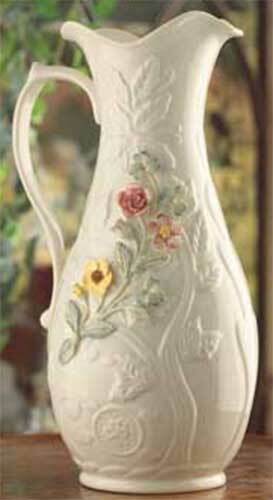 The Belleek Avondale pitcher is a flowered design that features hand applied china petals and blossoms. The Belleek pitcher is made of fine china that is enhanced with an embossed motif on both sides. 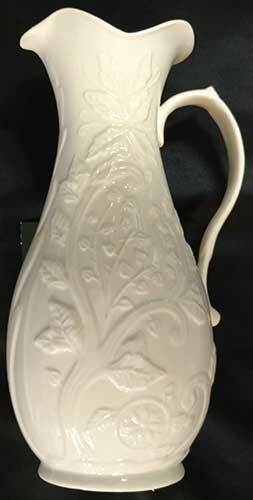 The Irish pitcher stands 10" tall and is hand-painted and hand crafted in Belleek, Ireland. The Belleek flowered pitcher is gift boxed with a shamrock history card, complements of The Irish Gift House.